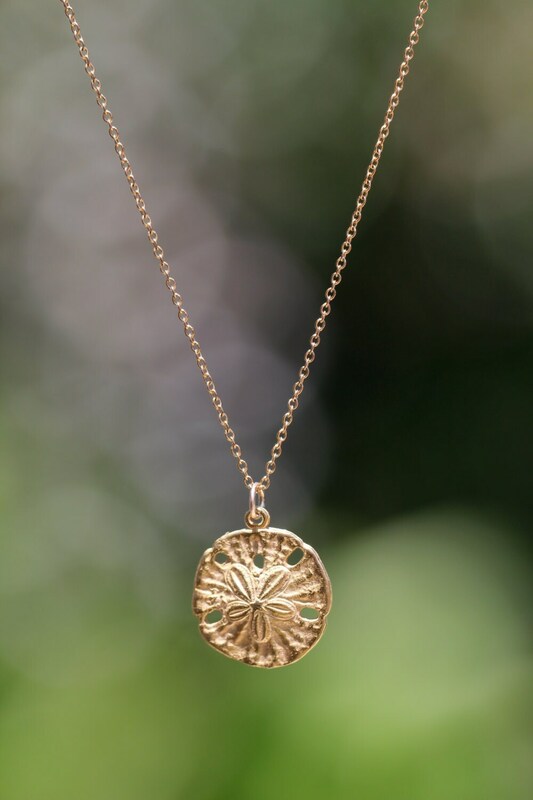 This delicate gold sand dollar is made of 22k gold plated bronze and hangs from an 18 inch 14k gold vermeil chain. Please feel free to select a different length! 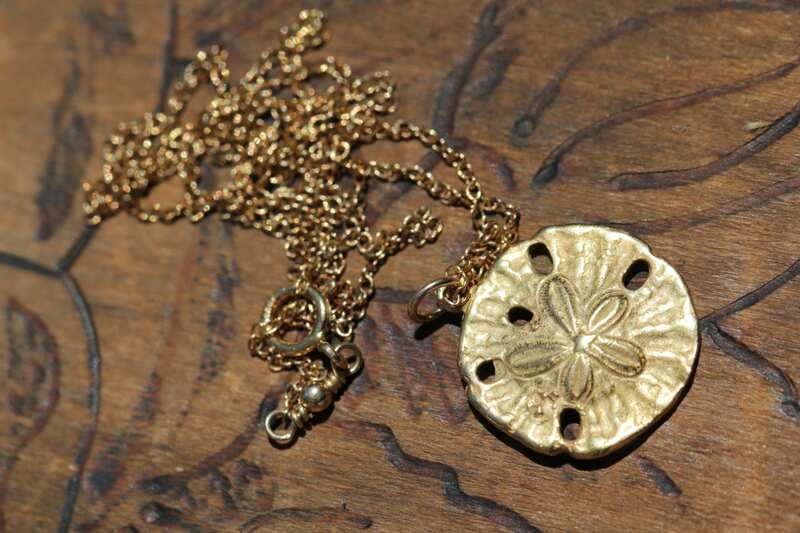 I can also make a set of matching dangling earrings if you like. 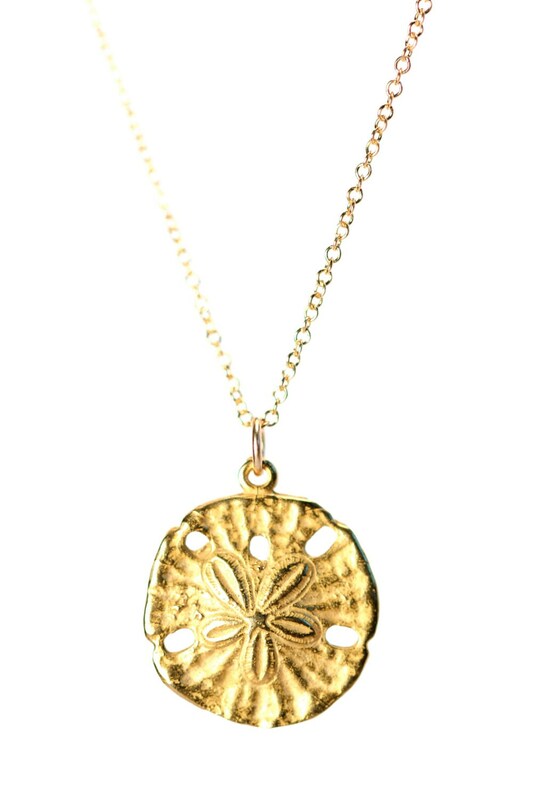 *** Now available with a solid sterling silver sand dollar on a sterling silver chain! 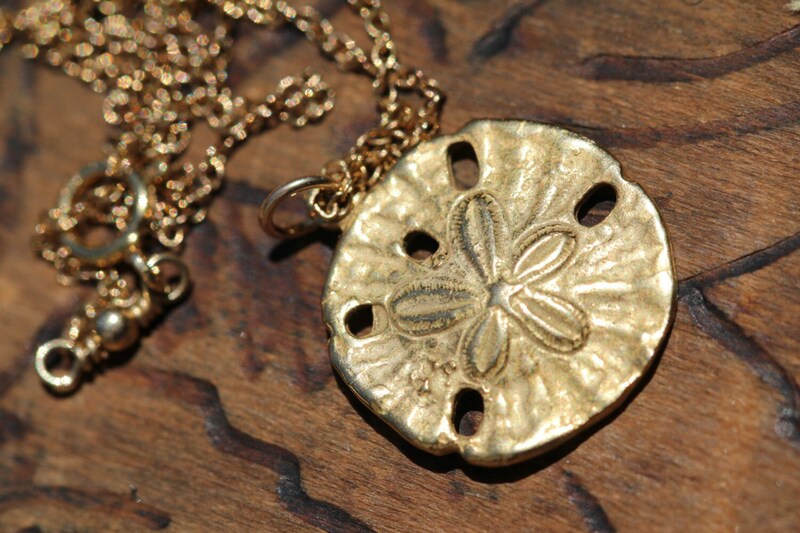 This sand dollar measures a little over half an inch. Please use the last photo in this listing as a reference for measurement.